The Kings Cross area lies partly in the Borough of Camden and partly in the Borough of Islington. The Kings Cross area lies partly in the Borough of Camden and partly in the Borough of Islington. This Central London district has seen vast redevelopment since the mid-1990s, and the reputation it once had as being run-down is firmly in the past. As such, Kings Cross estate agents offer many new developments for sale, but there are also period properties and converted flats for sale in Kings Cross. The Kings Cross Central project sees the regeneration of the area continue in earnest. 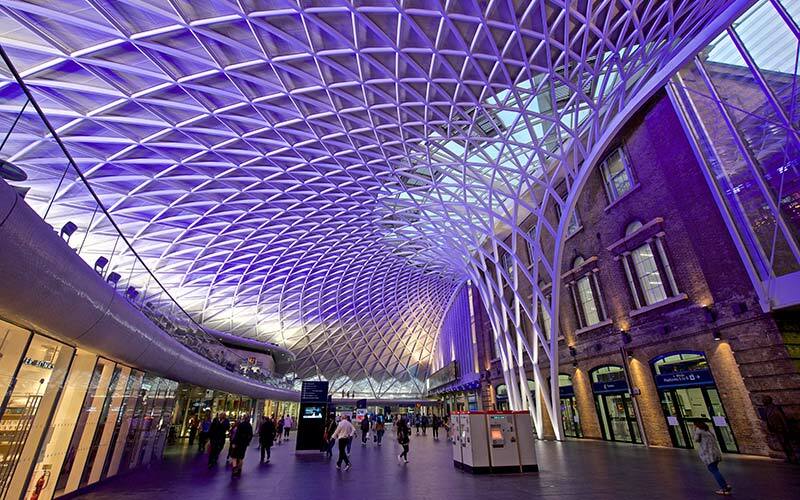 The location of Kings Cross means that it is close to many of Londons sights and attractions, including the British Library, the national library of the United Kingdom, and a major research library in its own right. Examples of local architecture include St Pancras Church. The London Canal Museum and Guildhall Art Gallery are also located here. The redevelopment of Kings Cross has seen it emerge as a major cultural centre and it is also becoming a fashion and arts hub. The redevelopment of Kings Cross has seen it emerge as a major cultural centre and it is also becoming a fashion and arts hub. In addition, many new restaurants have sprung up in the area. The great transport links in Kings Cross provide easy access to the West End theatre scene and shopping on Oxford Street is also close by. 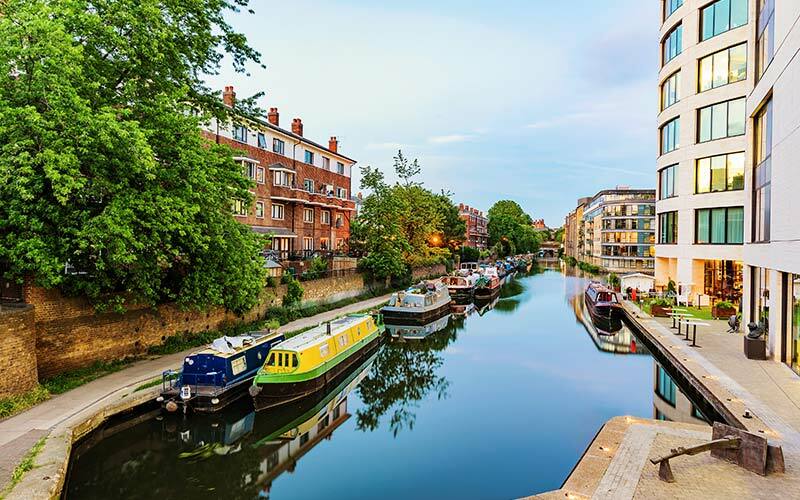 Nearby Camden Market, with its many stalls, is a great place for a stroll. 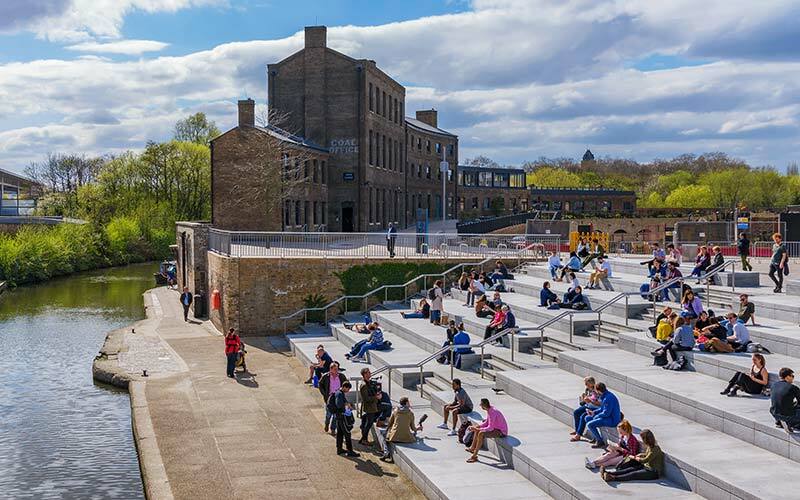 Granary Square has been built on former wasteland and is now an attractive open space with many fountains. Regents Park, with its vast open spaces and London Zoo, are also nearby. Local roads and streets in Kings Cross include Euston Road, Pancras Road and Midland Road. Euston Road is a key thoroughfare for London as a whole and is part of the London Inner Ring Road. Local colleges include Central Saint Martins art school. Westminster Kingsway College provides adult education courses at its campus near Kings Cross. There is also student accommodation in the area and those considering property to rent in Kings Cross as an investment option might well consider the student market. Primary schools in the Kings Cross area include Winton Primary School and The Gower School. Elizabeth Garrett Anderson School and the Maria Fidelis Roman Catholic Convent School FCJ are just two of the local secondary schools. Hospitals in the Kings Cross area include King's College Hospital, the Royal Free Hospital and Saint Mary's Hospital. The tube stops in the Kings Cross are Kings Cross/St Pancras, Angel, Euston, Russell Square and Caledonian Road & Barnsbury. The tube stops in the Kings Cross are Kings Cross/St Pancras, Angel, Euston, Russell Square and Caledonian Road & Barnsbury. Mainline rail stations are at Kings Cross, Euston, Kings Cross (Thameslink) and St Pancras, with international services departing from St Pancras. The above data is based on the average value of a 500 sq ft one bedroom apartment and a 750 sq ft two bedroom apartment in the resale market for the Kings Cross area. The above data is based on the average value of a 500 sq ft one bedroom apartment and a 750 sq ft two bedroom apartment to rent in the Kings Cross area. do you own property in Kings Cross?